Just Female ‘Lumo’ Jumpsuit, Jeffrey Campbell ‘Bastia’ sandals, and Le Specs sunglasses all courtesy of Nasty Gal; Alexander Wang ‘Diego’ bucket bag, vintage silver necklace courtesy of Stephanie Pernice, creator of the SoWa Vintage Market, herself. Today was the first truly hot day in Boston this year, so I had to check out the SoWa Vintage Market…and of course came out with my first sunburn of the season. 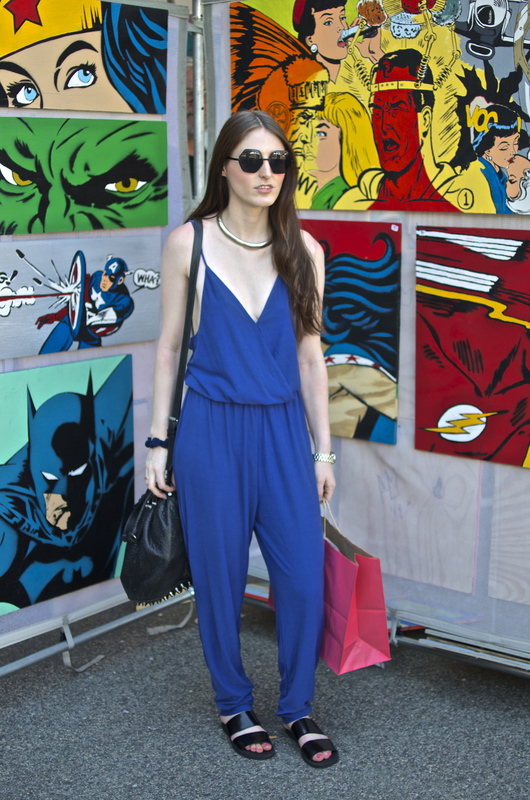 Lightweight jumpsuits (and rompers) are not only a comfortable and chic summer staple, but they also essentially eliminate the need to over think your outfit. Just choose occasion-appropriate shoes/accessories, and you’re good to go. For day, I love a ’90s-inspired sandal, like these Jeffrey Campbell slides, or a classic Birkenstock. Sleek silver accents are best with blue and black, and I found this awesome choker while browsing the market. That’s the beauty (and the horror) of SoWa: I always leave wearing something new. 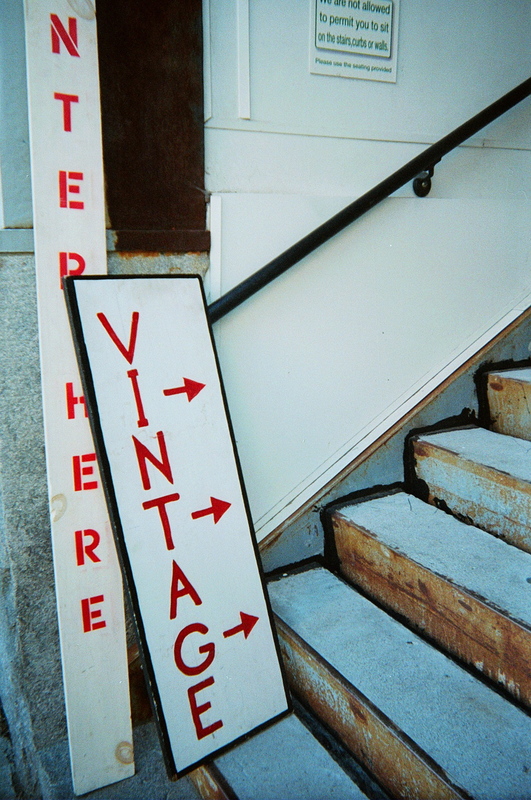 Learn more about the SoWa Vintage Market here. → Lena Dunham: Why Are You Still Talking About Her Body?